A few weeks ago the Texas Tribune published an editorial comment written by engineers Michael Bloom and Steve Stagner responding to the excellent investigative work on flooding in the Houston region, “Boomtown, Floodtown,” published by the Tribune and ProPublica on Dec. 7, 2016. See our summary of the report here. In their TribTalk editorial “Boomtown, Floodtown Reconsidered, An Engineer’s View,” Feb. 6, 2017, Bloom and Stagner repeat a couple of erroneous statements commonly used by representatives of the Harris County Flood Control District in support of the district’s shaky position that paving over the prairie, i.e. development, is not contributing to flooding. According to this point of view, our native tallgrass prairie and its associated wetlands are hardly better than concrete when it comes to slowing and absorbing rainwater. 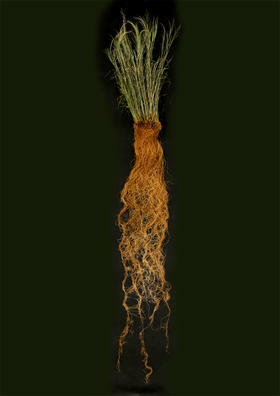 These deep-rooted grassland prairies, with water-absorbing root systems that can reach 12-15 feet into the ground or more, once existed around and upstream of Buffalo Bayou, in Katy, west of Houston, for instance, source of Buffalo Bayou, as well as up and down the coastal plain. Practical people are trying to preserve and restore what remains. In support of their argument, Bloom and Stagner summon up a point commonly made by members of the local engineering community: that the 1935 flood on Buffalo Bayou that devastated downtown Houston and led to the creation of the Harris County Flood Control District happened even though the Katy Prairie way upstream was then a big natural tallgrass prairie. This argument is wrong on two points. 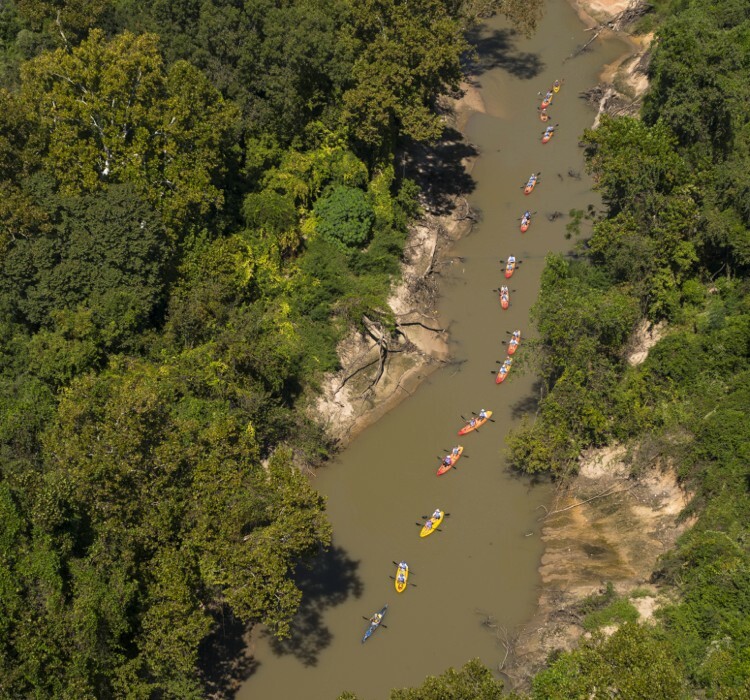 Read why in this fact-based response by Save Buffalo Bayou to an “Engineers’ View” published as a comment in the Tribune’s TribTalk. Or continue reading to find out the answers. With links! Why is the City Spending Our Money to Fight This Lawsuit? 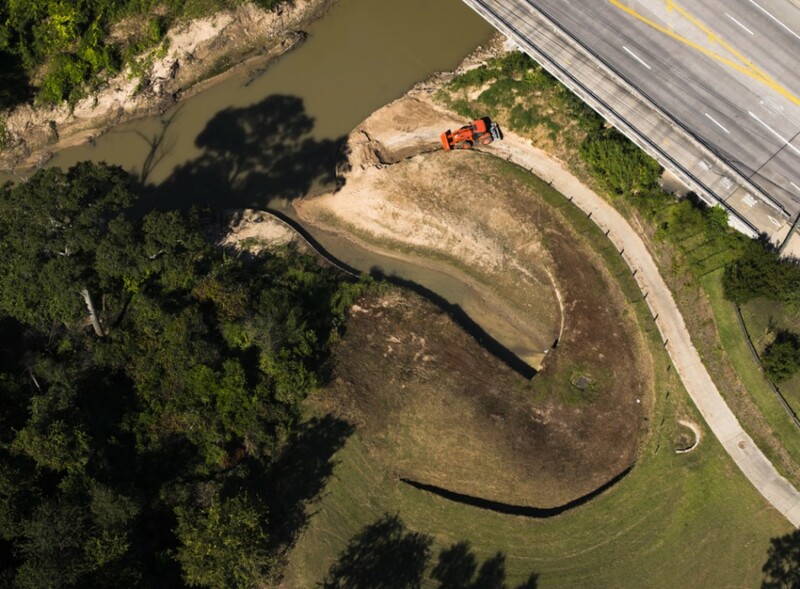 Residents in the Memorial City area, which is in the Buffalo Bayou watershed, filed a federal lawsuit last May to try to force the city to enforce stormwater detention and drainage regulations against developers not just in northwest Houston but also across the city. The suit claims, among other things, that lack of enforcement is causing flooding of their homes. The suit also names the local Tax Increment Reinvestment Zone (TIRZ 17) and its Redevelopment Authority. The TIRZ 17 collects some property taxes in the zone and decides how to spend the money, and the suit accuses the TIRZ of deliberately funneling rainwater runoff away from commercial developments and into residential areas. Attorney Charles Irvine speaking to the annual meeting of Residents Against Flooding on June 29, 2016. The plaintiffs are not seeking monetary damages. They request that the City and the TIRZ simply do their jobs. Recently attorney Charles Irvine of the environmental law firm Irvine and Conner spoke at the annual meeting of Residents Against Flooding, which filed the lawsuit. 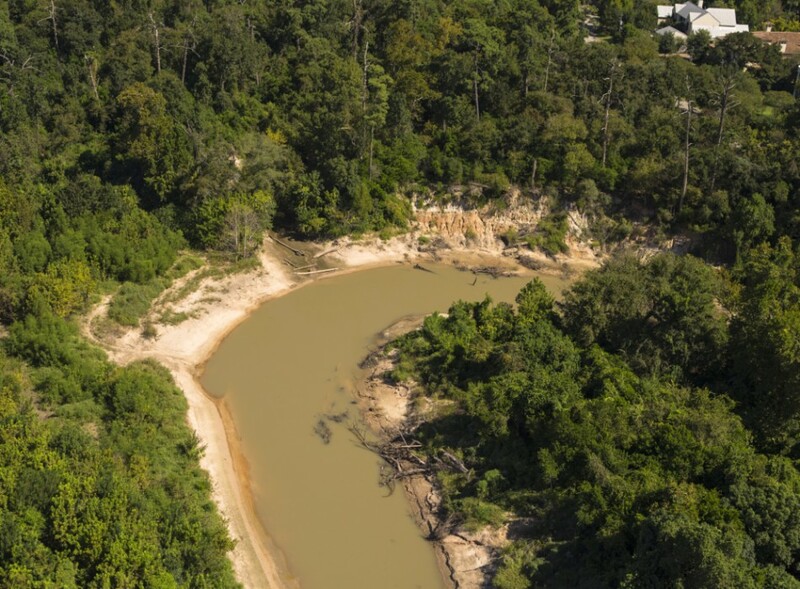 He provided an update on the lawsuit in the wake of a recent Texas State Supreme Court ruling against a similar lawsuit filed by homeowners in the White Oak Bayou watershed. Watch Irvine speak to the meeting in this 17-minute video. 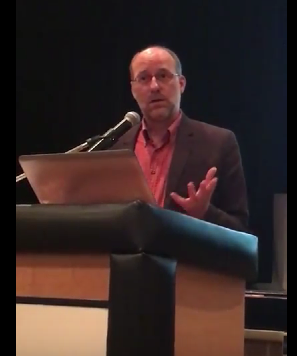 Among other things, he points out that the City could avoid litigation, and he questions who in the City is approving development plans without the required slowing and catching of stormwater runoff that results from increased impervious surface such as parking lots, apartment complexes, and shopping malls. 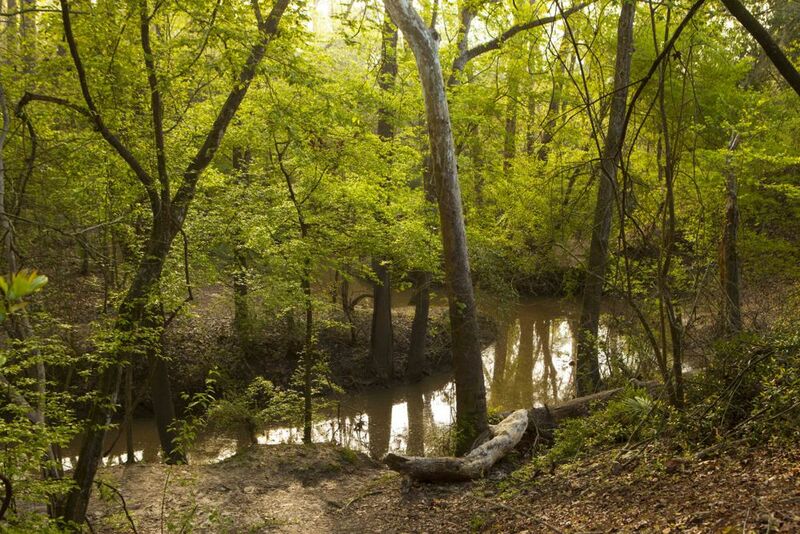 First the positives about the presentation Monday evening, May 9, by the Houston Parks Board about plans for the little-known 15.56-acre nature preserve on Buffalo Bayou known as the Hogg Bird Sanctuary. The sanctuary at the end of Westcott Street south of Memorial Drive is probably better recognized as the mostly impenetrable woods next to the parking lot for the Houston Museum of Fine Arts’ Bayou Bend Collection and Gardens, located across the bayou, accessible by a footbridge. 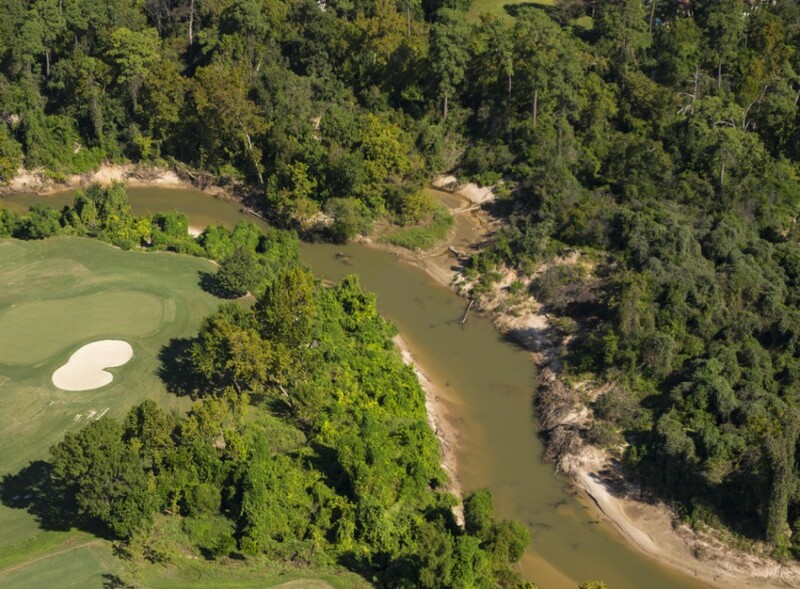 Bayou Bend is the former home of the Hogg Family, who developed River Oaks and in 1924, along with partner Henry Stude, sold at cost to the city the 1,503 acres that became Memorial Park. 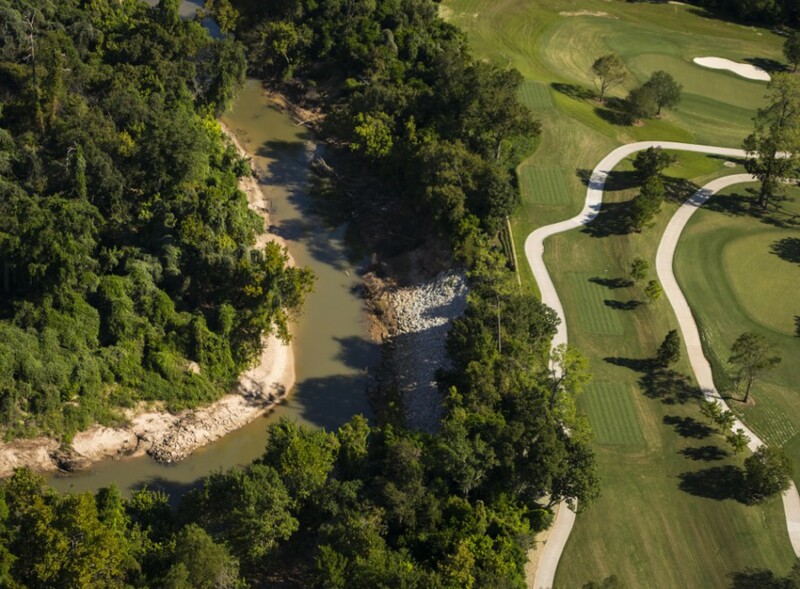 (The Hogg Brothers also sold to the city at cost 133.5 acres of land intended to be part of Hermann Park. In 1943 the city sold that land for the establishment of the Medical Center, which provoked the continuing ire of their sister, Ima Hogg.) Ima Hogg, a cultural and civic leader and one of the city’s most revered philanthropists, donated the family house and gardens to the museum in 1957 and then donated to the City of Houston the woods on the north side of the bayou as a nature preserve. Ima Hogg, who died in 1975, was also an ardent conservationist, early civil rights activist, mental health activist, and defender of park space for the public, in particular Memorial and Hermann parks. In her letters to city officials over the years, available in the archives of the Museum of Fine Arts, she described her firm belief that woodland parks should be kept as natural as possible and criticized in a 1964 letter to then Mayor Louie Welch, who famously thought public parks unnecessary, the “alarming situation” of rapidly diminishing park areas in Houston and “throughout America,” including through construction in the parks by “worthy institutions” that really ought to look for building sites elsewhere, she wrote. Miss Ima was still angry that the city had “relinquished so much of the acreage” in Memorial Park for highways and a golf course and in an earlier letter to then city director of public works, Eugene Maier, demanded that the money the city received from the state for the highway land be used to acquire and improve additional park sites. Let’s guess that probably didn’t happen. New Aerial Photos of Buffalo Bayou! 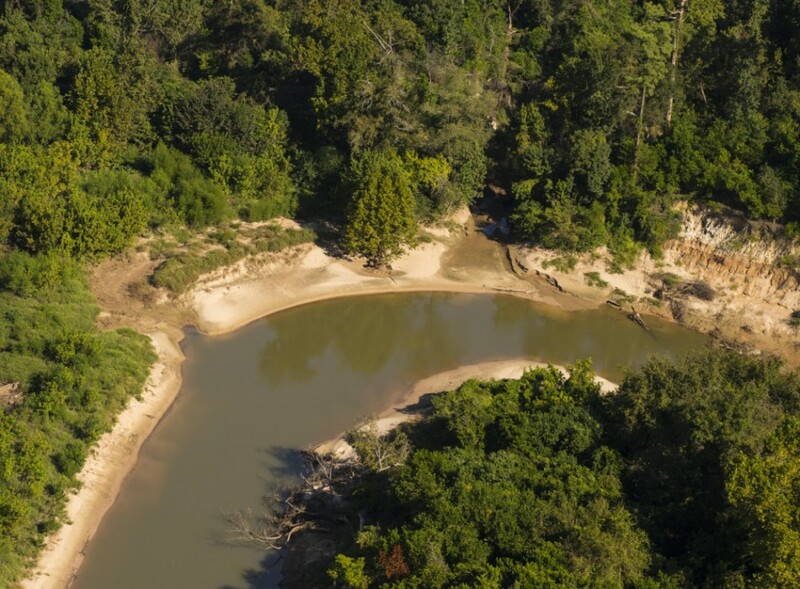 Travel down the remarkable historic stretch of our 18,000-year-old bayou proposed for “restoration” by the Harris County Flood Control District and the City of Houston. 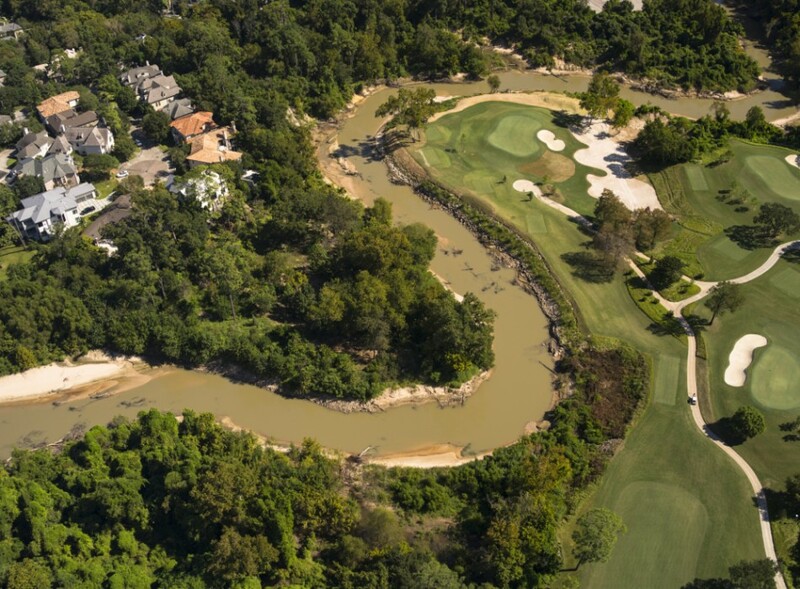 The $6 million project, violating virtually every Best Management Practice for riparian areas, would pointlessly destroy and rebuild over 1.25 miles of a naturally-functioning bayou as it flows past Memorial Park and the Hogg Bird Sanctuary on the north and the River Oaks Country Club on the south. Photos taken on October 2, 2015. Thank you, Jim Olive! 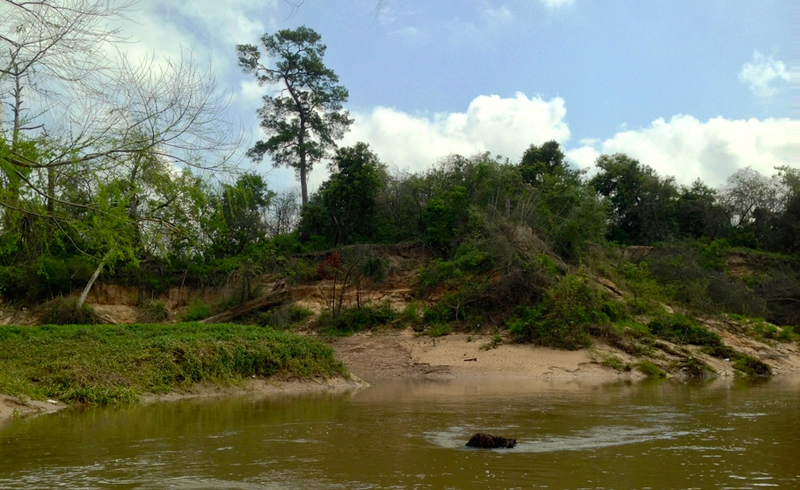 Brush on the banks taken down by the Memorial Day 2015 Flood is collecting sediment and naturally rebuilding the banks. 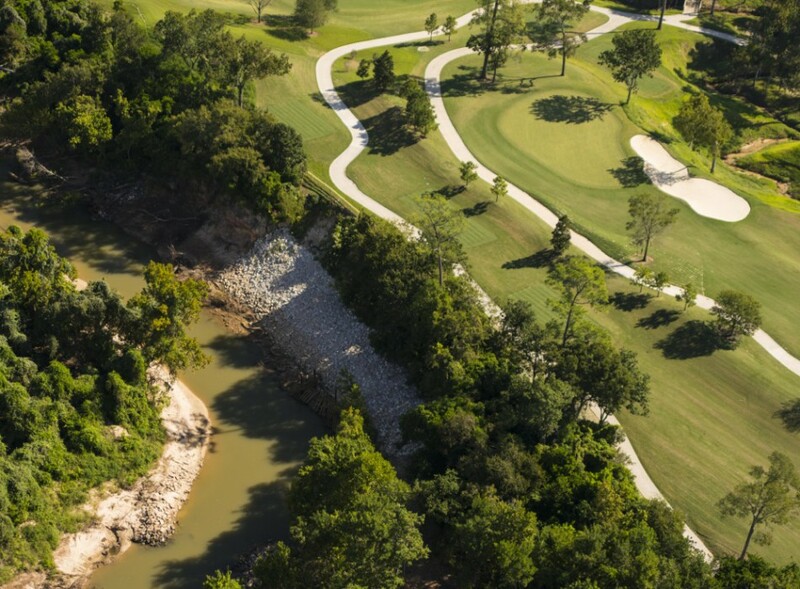 The project proposed by Flood Control mimics this natural bank stabilizing process but would pointlessly spend millions of public dollars to destroy the superior work of nature and replace it with costly engineering likely to fail. 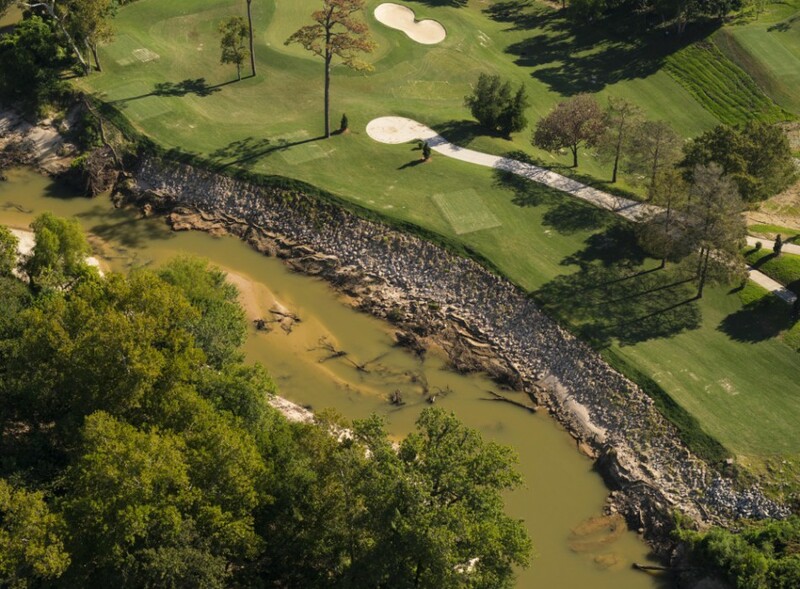 Memorial Park on the left, River Oaks Country Club on the right. 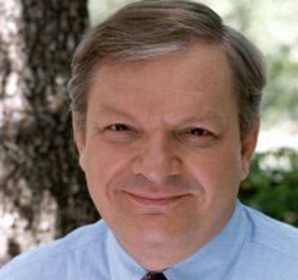 Jim Olive photo Oct. 2, 2015. 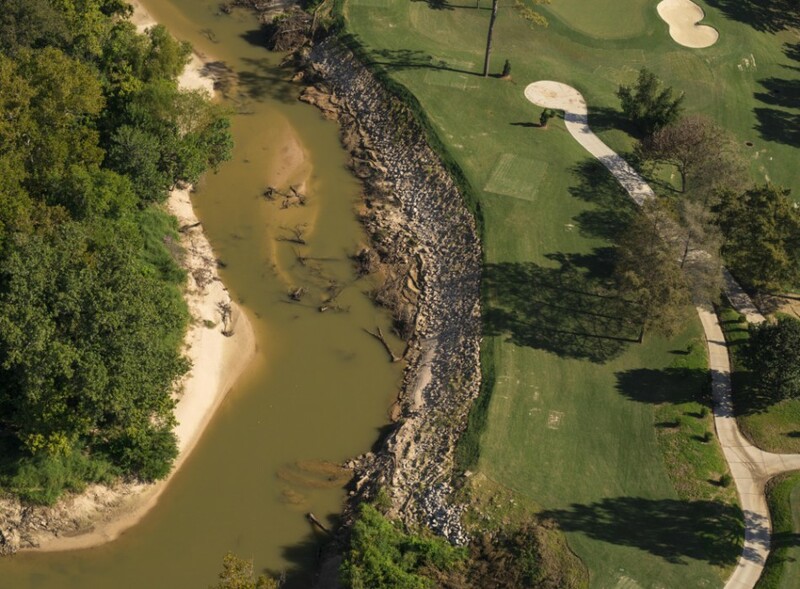 Sandy forested banks of the River Oaks Country Club on the right. 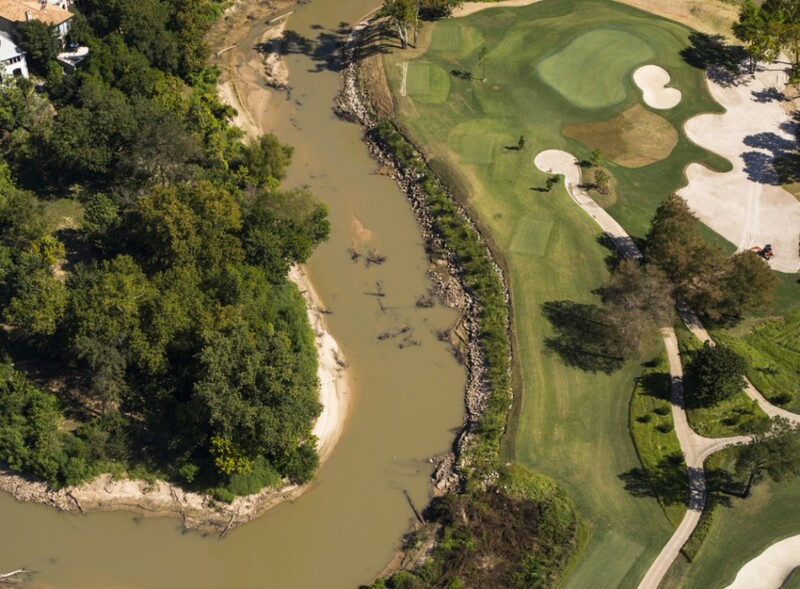 Sandy beach on the left owned by the Harris County Flood Control District, though the property behind is privately owned. Photo by Jim Olive Oct. 2, 2015. 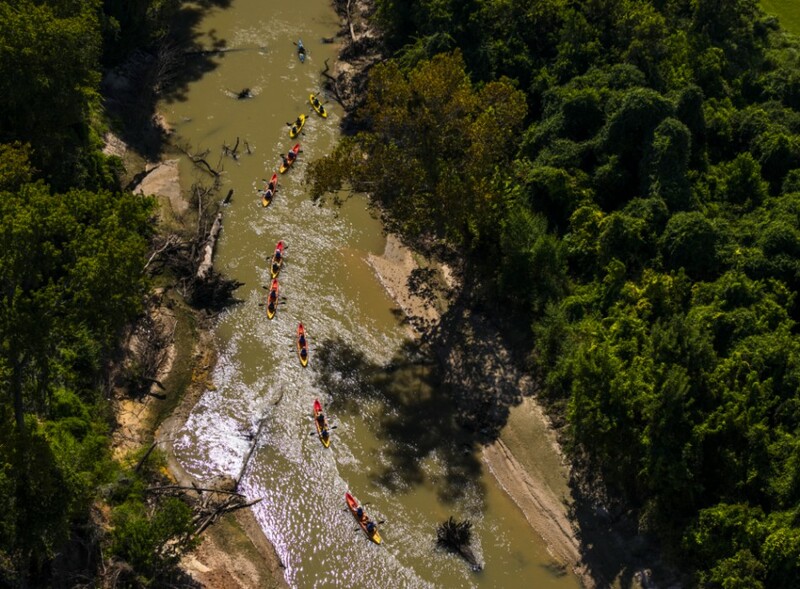 Kayakers on Buffalo Bayou on Sept. 29, 2016. Photo by Jim Olive. 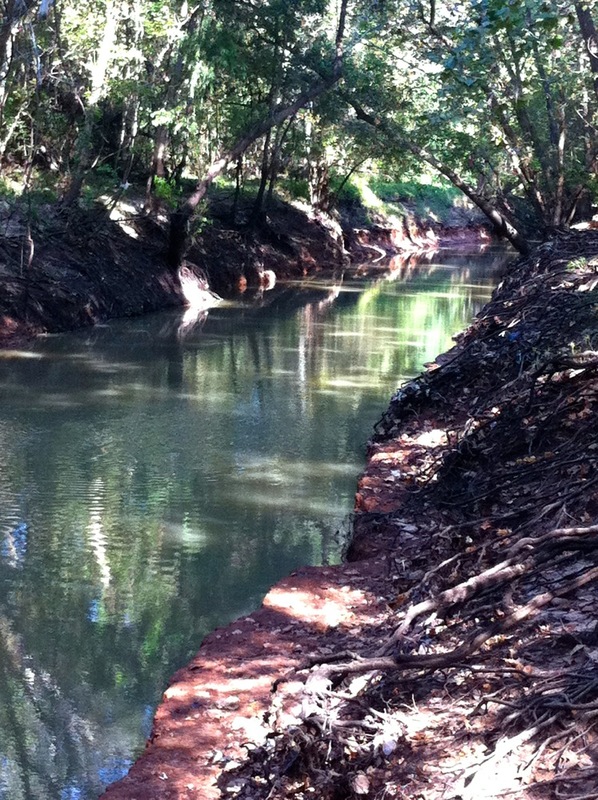 Riprap installed by the River Oaks Country Club on the south bank of Buffalo Bayou in August 2015. Photo by Jim Olive on Oct. 2, 2015. 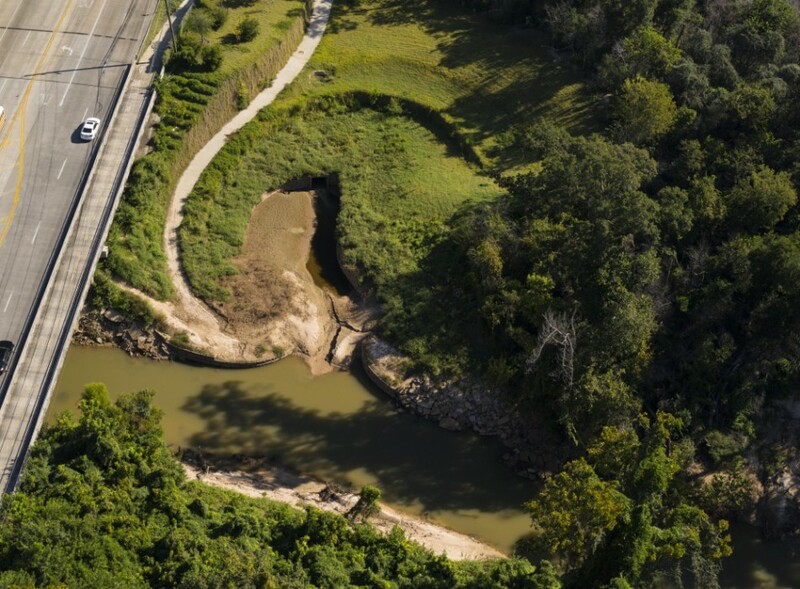 The Harris County Flood Control District has responded to largely critical public comments to the Army Corps of Engineers about Flood Control’s misguided project to destroy one of the last natural stretches of Buffalo Bayou in Houston, a most remarkable asset to have in the middle of a city. 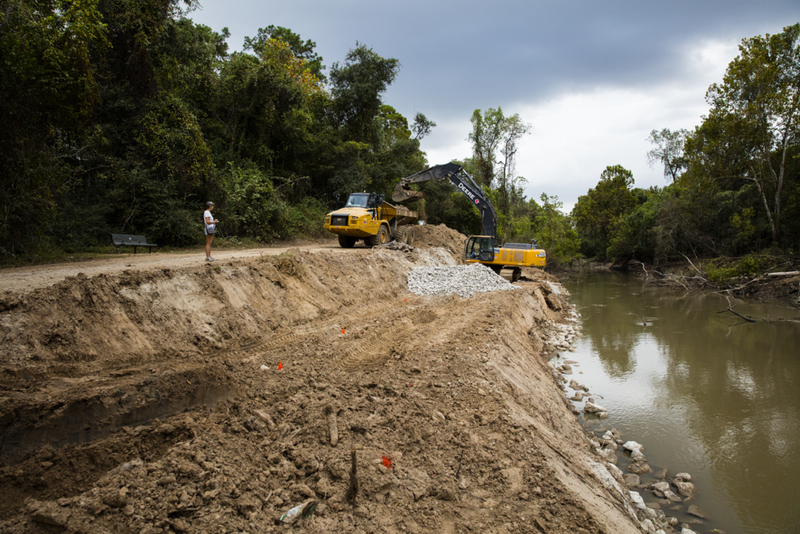 The Corps is reviewing the Flood Control District’s responses, says Jayson Hudson, who has been the Corps’ Galveston District project manager for the permit application. 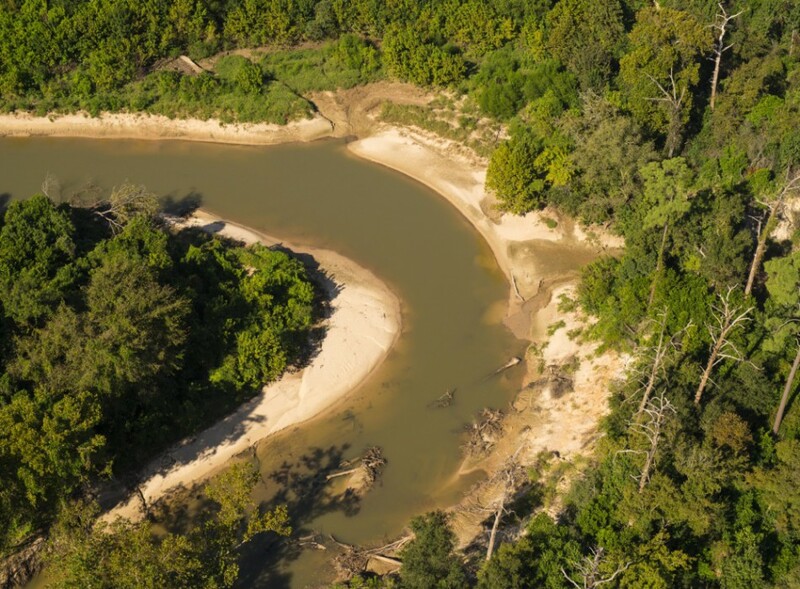 Flood Control must apply for a permit from the Corps of Engineers because the Clean Water Act requires the Corps to ensure that projects on federal waters do not damage the health of our waters. 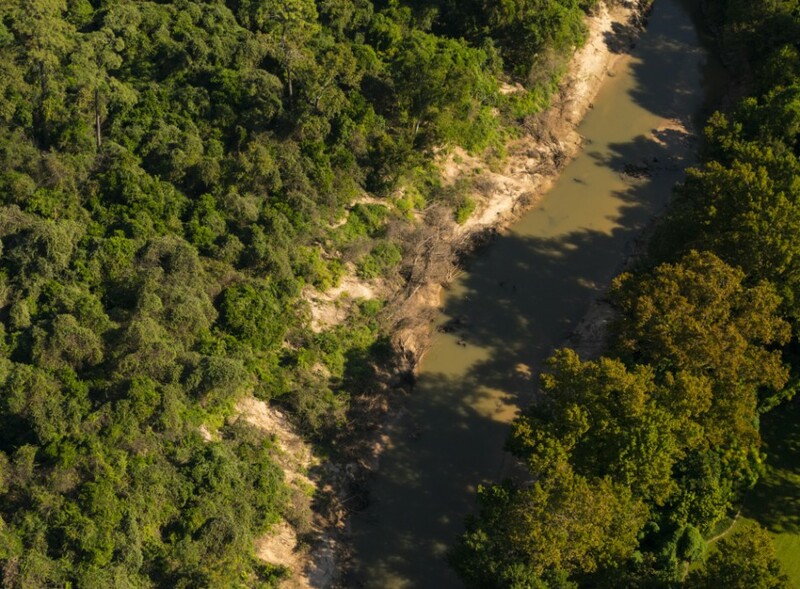 Federal waters are defined as navigable streams (Buffalo Bayou) up to the Ordinary High Water Mark, their tributaries and adjacent wetlands, all of which form the great living veins and arteries of our limited water supply. 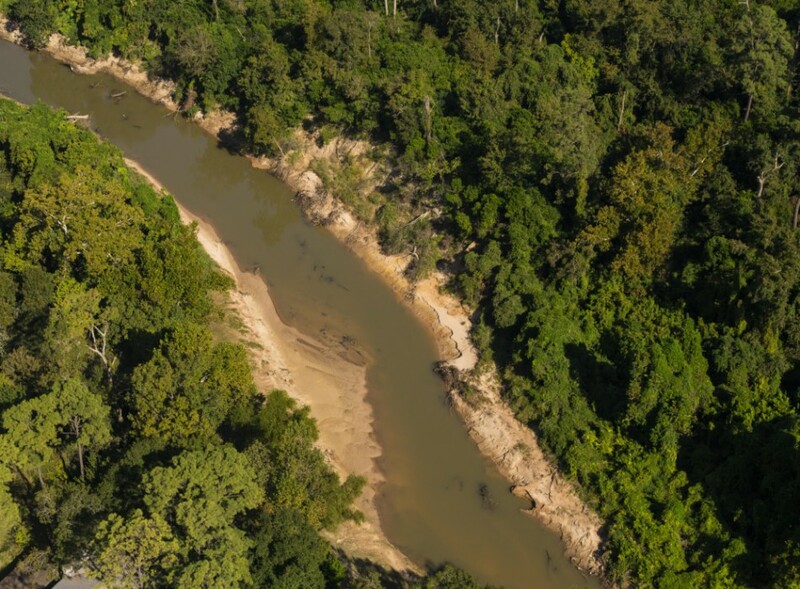 Some studies argue that all riparian areas , the highly biologically diverse natural gardens and forests along stream banks so vital for clean water, should be considered protected wetlands . Update Monday, March 30: Council Member Steve Costello’s office has responded that as a member of the board of directors of the Memorial Park Conservancy, he will recuse himself from voting on the proposed master plan. Update Thursday, April 2: Houston City Council unanimously approves $3.2 million master plan for $200-300 million landscaping of Memorial Park over next 20-30 years. Public comments were limited to two minutes due to the large number of people signed up to speak on the city’s proposed master plan to spend $200-300 million on Memorial Park. A few of the nine members of the council’s Quality of Life Committee, chaired by Ellen Cohen, met last Wednesday afternoon to hear Parks Director Joe Turner and landscape architect Thomas Woltz present the ambitious, vague, and costly master plan for the 1500-acre-plus woodland park. Dozens of people spoke in favor of the plan. Most of them were members of the board of or connected to the Memorial Park Conservancy, and many of them, users of the park, gave moving testimony about their reasons for joining the conservancy: the devastating impact of the 2011 drought, which has killed more than half the trees in the park. But there were also strong critics of the unfinished $3.2 million proposal, which so far does not seem to be an actual written plan specifically identifying and prioritizing what should be done and when, two key elements for a successful master plan, according to a recent report on urban park conservancies from the Trust for Public Land. A large contingent of critics were residents or property owners adjoining the park concerned about the increase in traffic, noise, lights, and people using the park. A smaller group of conservationists also expressed concern about the increase in traffic and parking, the loss of trees and natural areas, the expense, inappropriate planting plans, and lack of detail about costs and maintenance. It was suggested that new facilities be placed instead in new parkland purchased with some of the millions of public dollars to be used for the project. 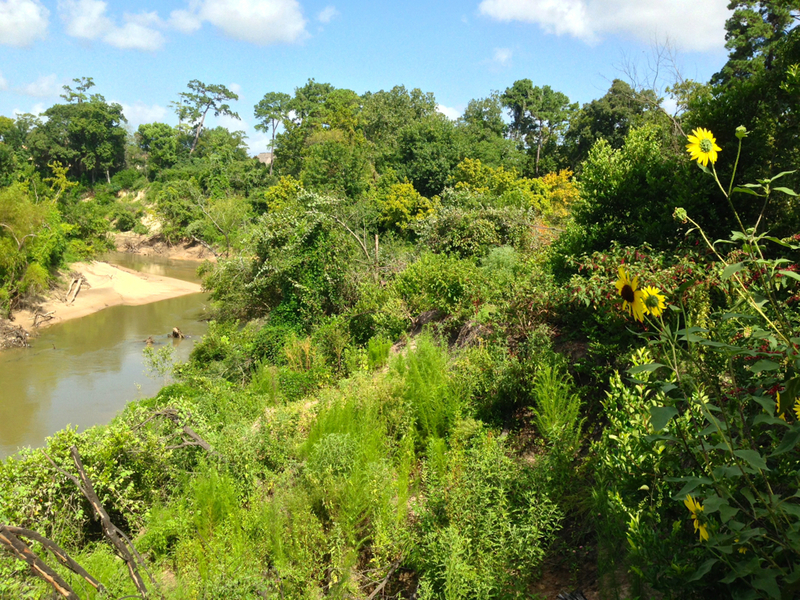 Springtime on a tributary of Buffalo Bayou in Memorial Park. Photo by Jim Olive on March 25, 2015.